Who will return in ‘Avengers: Endgame’? 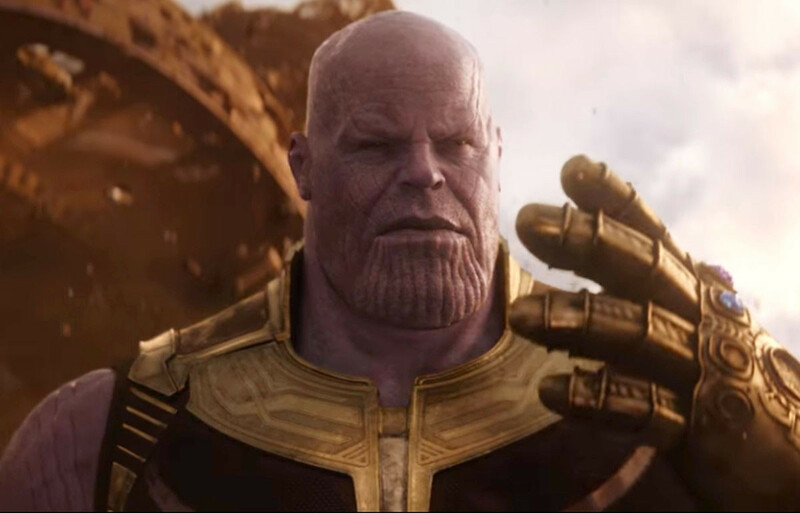 It’s been clear for some time now that Thanos’ climactic finger-click at the end of ‘Avengers: Infinity War’, a bit like Britain’s vote to leave the EU, might not be wholly irreversible. In fact, the closer we get to next month’s release date for sequel ‘Endgame’, the more it looks like the great purple Titan’s cruel wiping out of half the universe’s intelligent life might not be too much to worry about after all. The first clue was Marvel’s forthcoming slate, which gives away that Spider-Man, Black Panther and most of the Guardians of the Galaxy will be rematerialising from that smoke they dissolved into. Then there were the hints in mid-credit scenes for films such as Captain Marvel and Ant-Man and The Wasp . The latter revealed that Scott Lang gets stuck in the quantum realm after the events of his latest outing, so what’s he doing in trailers for ‘Endgame’, having apparently handed out quantum suits to a number of the surviving Avengers? Could this be the clue to reversing Thanos’s actions, perhaps via the time vortex that Michelle Pfeiffer’s Janet van Dyne (AKA the Wasp) has revealed exists in the quantum realm? Or will Brie Larson’s Carol Danvers simply turn up and biff the Infinity Gauntlet-wielding meanie all the way back to the beginning of 2017, as hinted at in ‘Captain Marvel’? The sense that this ain’t over has been added with the release of dozens of “avenge the fallen” character posters for ‘Avengers: Endgame’, in which those who died at the end of ‘Infinity War’ are indistinguishable from those who live to carry on the fight. Though fightback might be the more optimum phrase, if an accompanying video featurette starring Robert Downey Jr , Chris Evans and Scarlett Johansson is anything to go by. If we do know, at the very least, that Thanos’s evil deeds are reversed, what we don’t know is how this comes about. Will Jeremy Renner’s Hawkeye finally get a pivotal role (as hinted at in the most recent ‘Endgame’ trailer) after operating as Marvel’s most consistently superfluous hero for umpteen episodes? What tricks can Thor pull off with that fancy new weapon? And when is the Hulk going to stop sulking? All these questions will be answered by this time next month. We also don’t know what kind of losses will be felt. ‘Endgame’, it was recently revealed, will be the longest Marvel film at more than three hours, so there could be more than a few twists and turns before the credits roll. At the very least, it seems unlikely that the plot will simply see the remaining Avengers nip into the quantum realm, travel back in time to reverse the finger-click and then wander off contentedly into the sunset. If time travel is involved, then how far will the timeline be rolled back? Will it be far enough to save Zoe Saldana’s Gamora and Tom Hiddleston’s Loki, both of whom were killed off long before the click of doom? Should we be looking to the superheroes who don’t have sequels lined up, or who might be coming to the end of their contracts (here’s looking at you, Downey Jr and Evans) to make the ultimate sacrifice in Endgame? One certainly wouldn’t put it past Marvel to giveth with one hand, while taking away with the other (extravagantly gauntleted) one. We might be getting Spidey and T’Challa back, but will we have to lose Steve Rogers and Tony Stark in order to see them return?